After concluding his Medical degree at the University of Padova he moves to the United States and specialises in Psychoanalysis at the New York Medical College as well as at the New York Metropolitan Hospital together with Sivano Arieti and Nathan Ackerman. Once back in Italy he settles down in Milan and opens his own private practice. Meanwhile, he also collaborates with Mara Selvini Palazzoli. Indeed, the theoretical matrix that guides his intervention is without a doubt psychoanalytic. However, due to the perceived limits of the later prospective, a new team was formed- exactly by Selvini, Boscolo, Cecchin, Prata – that adopts a novel brief family therapy model. Precisely, inspired by the model of Strategic Therapy of Palo Alto. The modalities of this commitment and their attainments are described in the book entitled Paradox and Counterparadox (“Paradosso e Controparadosso“) which currently includes a prologue by Pietro Barbetta. A growing dissatisfaction, shared with Gianfranco Cecchin, regarding the Strategic model as well as the period of involvement with Selvini and Prata led the two to revitalise Systemic therapy through the Milan Approach ©, that during the eighties prominently influenced clinical practice around the globe. Together Boscolo and Cecchin, enabled a fruitful dialogue with constructivist epistemology thus, profoundly revolutionising the evolution of how therapists reflect about their role. The overcoming of the Strategic perspective led Boscolo to follow the notions and experiences of Gregory Bateson. Indeed, for him, this discovery becomes the one that has most significantly transformed therapy in those years; just as much as Freud had transformed it at the start of the previous century. The most relevant text concerning the (re)evolution of this timeframe is without a doubt: Milan Systemic Family Therapy. 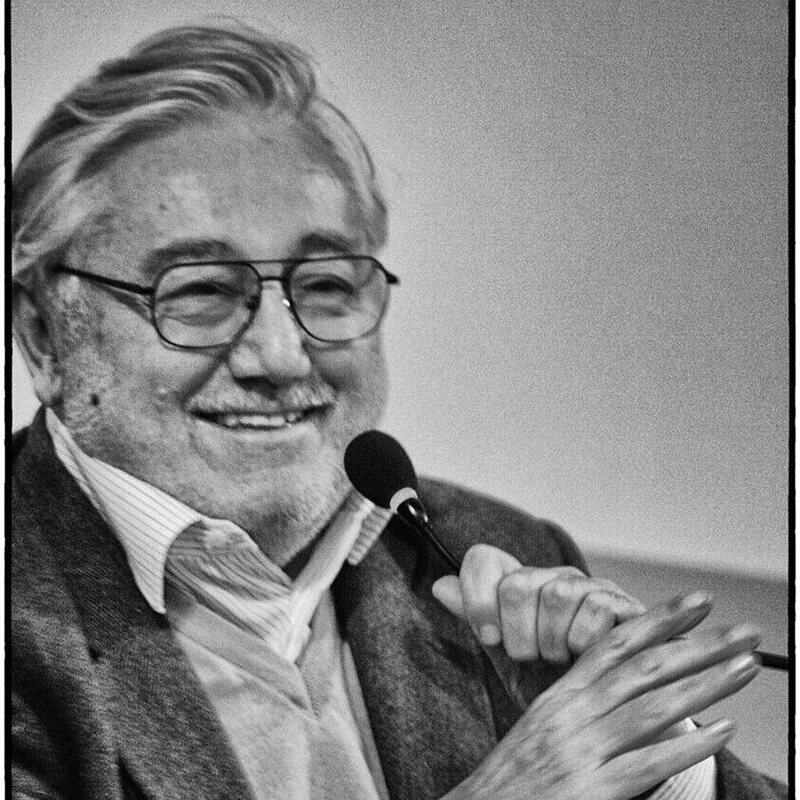 A lengthy interview, to both him and Cecchin, guided by Lynn Hoffman and Peggy Penn, that had adopted the Milan Approach at the Ackerman Institute in New York. Today this texted has been translated (in Italian) and curated by Paolo Bertrando with the title Clinica Sistemica. In 1981 Boscolo and Cecchin found the Milanese Centre of Family Therapy (CMTF). The Centre’s endeavours did not halt them-selves at clinical work and research rather, they invested their efforts in intense training activities specifically oriented towards operators of state healthcare and social services. Furthermore, their training activities were extended across Europe, through the Americas and to Australia. An intense English summer course concerning the underpinning of the Milan Approach becomes offered on a yearly basis. Throughout all these years Boscolo is involved in didactic as well as supervisor activities in the Centre as well as in others establishments. Additionally, he becomes a founding associate of the S.I.P.R. and the S.I.R.T.S. as well as a member of the A.F.T.A. (American Family Therapy Association), the A.A.M.F.T. (American Association for Marriage and Family Therapy) and of the E.F.T.A. (European Association of Family Therapy). On the 12th January 2015 he passes away due to a prolonged illness at age eighty-two. Come terapeuta, tengo sotto controllo la mia ideologia per favorire lo sviluppo di quella del cliente. As a therapist, I regulate my own ideology to favour the development of the client’s own. Palazzoli, M.S., Boscolo, L., Cecchin, G.F., and Prata, G. (1975), “Paradosso e Controparadosso: Un nuovo modello nella terapia della famiglia a transazione schizofrenica.”, Feltrinelli, Milano. Boscolo, L., Cecchin G.F., Hoffmann, L., Papp, P.(1987), “Milan Systemic Family Therapy” – Basic Books, New-York. Trad. it (2004), Clinica Sistemica, a cura di Bertrando, P., Torino, Bollati Boringhieri 2004. Boscolo, L., Bertrando, P., “I Tempi del Tempo. Una Nuova prospettiva per la Consulenza e la Terapia Sistemica”, Bollati Boringhieri – Torino, 1993. Boscolo, L., Bertrando, P. “Terapia Sistemica Individuale” Cortina – Milano 1995.